To help fellow Israeli founders succeed by harnessing our collective energy, knowledge and networks. 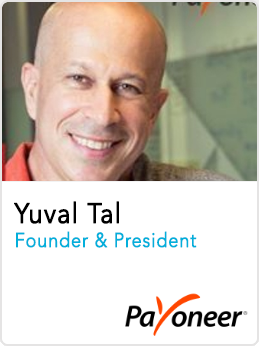 Our members include the seasoned founders of Israel's most iconic technology companies, 14 unicorns, promising first-time founders and some of the world's top investors. We’re all here to help and learn from each other. 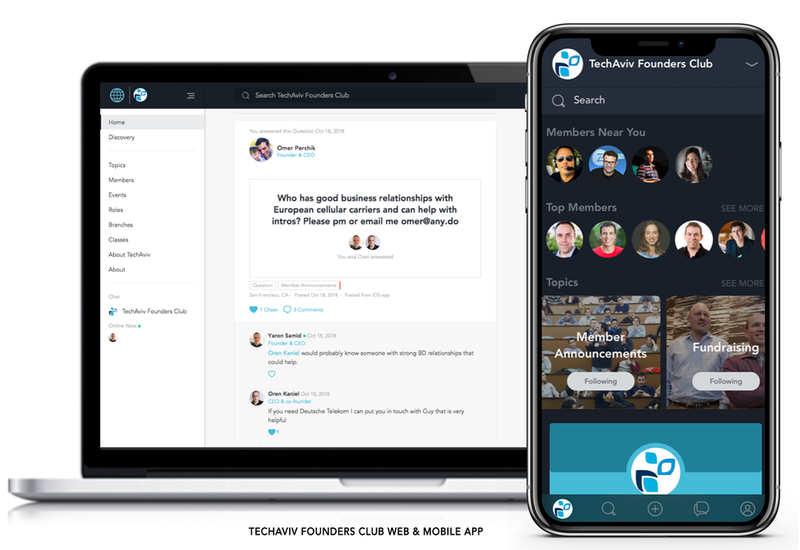 TechAviv Founders Club members meet at local events and connect online via our web and mobile app to share their experience and resources, request and suggest intros, ask for advice and feedback, etc. We're here to help each other become better founders and build better companies. Membership and everything we do is free, but requires an invitation and recommendation from an existing member. We meet offline to deepen our relationships, share our experience and knowledge, showcase our products, and discuss our challenges. With 3,000 members worldwide, someone has made the mistakes you’re about to make, navigated the paths you’re on and knows the people you need to know. Nothing beats quality time together to harness our collective. We sit down with our most inspiring members and industry luminares to glean inspiration, strategic insights and tactical company building advice. We gather in a more intimate setting with a dozen founder CEO members to discuss the challenges, joys and best practices of being CEO over great food and wine. Members take the stage to demo their products live in front of fellow founders and investors to get critical but supportive feedback and advice. We discuss the ins and outs of company building with some of our industry’s most successful and knowledgable founders and investors. We host speaker-led workshops teaching founders best-practices in fundraising, growth-hacking and marketing, product and R&D management, UX design, HR recruiting and sales. We also have equally critical workshops on mindfulness and mental health. Three times a year our members nominate Israel’s most promising startups and we have them present live in front of fellow founders, local VCs and the world’s top-tier investors via video. TechAviv members meet locally across 6 main branches - Tel Aviv, Silicon Valley, New York, Boston, Los Angeles and London. We also have members in Washington DC, Arizona, North Carolina, Ohio, Barcelona, Portugal and Berlin. Learn more about the Israeli startup ecosystem.